Following on from the partial closure of Stapylton Campground on the 24th December 2012 the follow up full assessment will now take place by soil contamination experts. 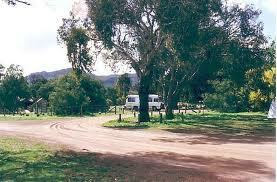 As a result, the whole of Stapylton Campground will be closed from Monday 14th January – Wednesday 16th January. For those unaware, the partial closure was due to small pieces of cement sheeting containing asbestos sheeting being found,(please read original post here) The current advice is that the sheeting poses little risk to the rest of the campground. So that public safety can be assured however, the complete closure while the full assessment is undertaken, is a necessary precaution. This assessment is to inform future management of the site. The partial closure of the affected area will still be in place after the 16th January until further notice. This entry was posted in Grampians, Parks Victoria updates & info and tagged closures, grampians, stapylton campground by Tracey. Bookmark the permalink.